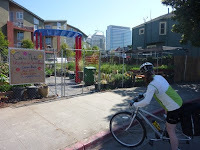 Oakland, California - At 10 A.M. another "ciclavía" session began. 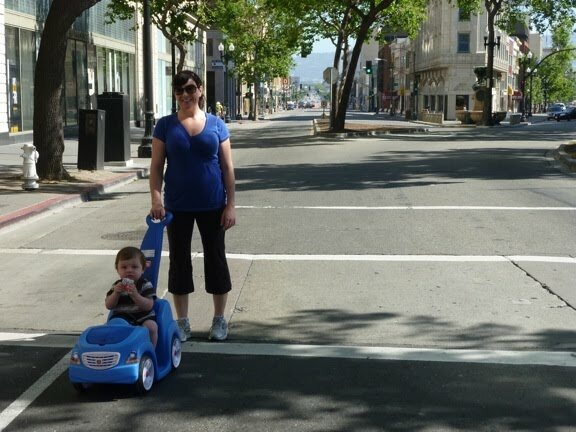 Oaklavía, as it is called in this instance, is a special metropolitan area in which a formerly car-dominated downtown district is temporarily transformed into blocks of wide open space where even toddlers play safely in the middle of the street. Ciclavías have occurred in other cities like New York and elsewhere. 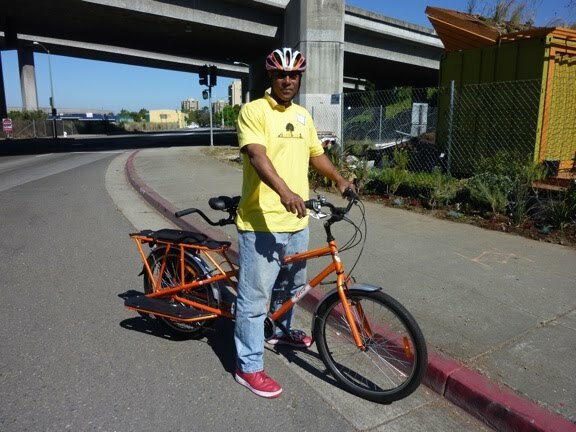 This is one of the first to happen in Oakland. 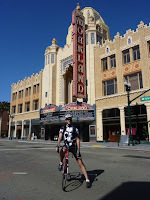 My friend and I have lived our whole lives in Oakland but we've never experienced it without cars in the streets so we decided to check it out. 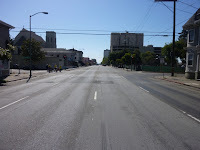 The photos that follow are mostly from before the event to illustrate the car-lessness as dramatically as possible. 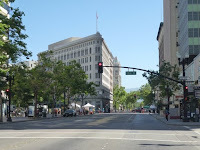 As you can see from the photo, the car-less spaces weren't quite contiguous but the police and the event volunteers ensured that cyclists and pedestrians didn't wait long, or at all, to move between each car-less segment. To be honest, even with police blocking on-coming traffic, it was still tough to relax in the middle of the street. Seeing this mother and child in the roadway was truly surreal. No fear of imminent death in these two: just joy at being out on a Sunday in a wide-open space. Once the lack of car noise and the abundance of space set in, it truly was liberating and incredibly stimulating. Events like this and cycling in general flood you with so much more detail about your surroundings than you would normally get. Being in a steel and glass enclosure moving at high velocity (aka a car) robs you of so many parts of a place. The smells of all the food alone made the trip worthwhile: like those from this outdoor café setup in the street in front of Ratto's Market & Deli, not to mention the Oaklavía barbecue. Moving through downtown this way, you just plain notice things you didn't know were there. My friend (the gardener) found this little garden a half a block down from the city jail, with a nice view of the Federal Building in the background. Who knew? How would you know given that this one-lane boulevard (aka freeway) is what the garden sits along. Today, without the fear of imminent death by car, we could literally stop and smell the roses, or at least the tomatoes. Yum! While we were investigating the garden, we met this event volunteer. 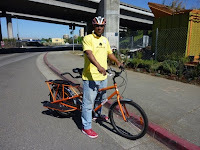 I had to get a picture of his sweet cargo bike. He said it can haul up to 600 lbs. and cost $1,100. That's more than Randall can haul on his Bilenky. Awesome. All in all, Oaklavía was a huge success in giving people such great new perspectives and experiences on their city. 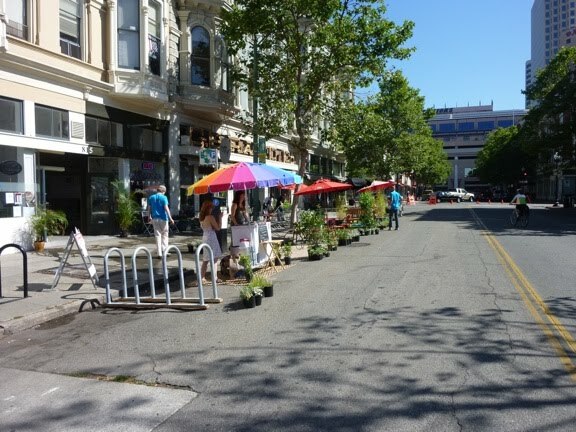 Now, if this kind of car-less open space could just be made pervasive and permanent. The cyclavía website specifies that these temporary spaces are purely for recreation. This essentially turns streets into a temporary park. This is a wonderful thing. However, removing cars from a business district like this is reminiscent of another type of space that has a more lasting and possibly more profound impact on one's life: the plaza. Europe is full of these plazas, piazzas, and platzs, i.e. 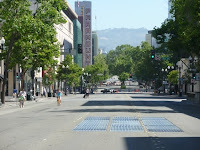 massive car-less spaces where people gather, not just on weekends but everyday, e.g. Trafalgar Square, St. Peter's Square (seen here), Marienplatz, etc. 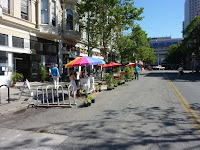 In these places, you feel safe from cars not just while you recreate but while you work, dine, shop, run errands, etc. In other words, you feel safe from cars virtually all the time. Living life without the fear of imminent death by car is a refreshing if not a profound shift in your mind's focus. Suddenly, brainpower currently spent on parking, driving, and dodging cars is available to ponder other things. Ponder the possibilities of that. Europe is not necessarily more enlightened about public spaces. They've got their share of car-obsession, -dominance, and -congestion. These plazas are simply legacy spaces left over from the pre-car era. Since much of the U.S. was designed and built during the car-obsessed 20th century, we have relatively few car-less places. "Drive-through" everything seems to be our legacy in many cities. Fortunately, many in the U.S. feel this needs to change. 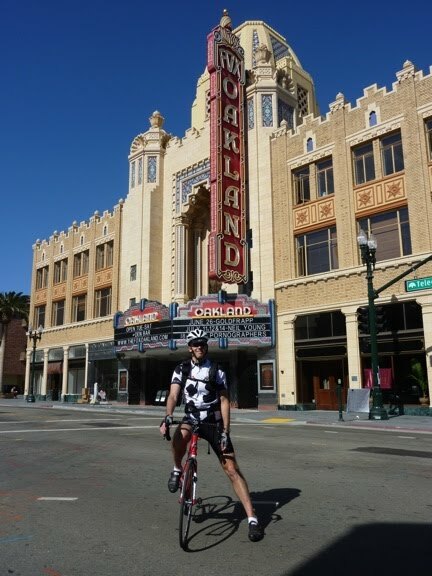 The sponsors of Oaklavía, for example, Walk Oakland, Bike Oakland are working hard to diversify our streets from cars. Another site representing proponents of this idea is the Livable Streets Initiative. There are, of course, many more. Nevertheless, as illustrated in Vegas, there's a lot more to do. Regardless, Oaklavía did an excellent job of showing how rewarding this vision can be: for a few hours if not forever.